Fridge Magnets are a permanent way to keep your business in front of your consumers. By using a high quality magnetic material and substrate, we can provide you with a superior quality magnet that does not fade or peel. Contact our team at Tender Edge for a competitive quotation for you next promotion. Magnetic Signs provide a great way to promote your business. 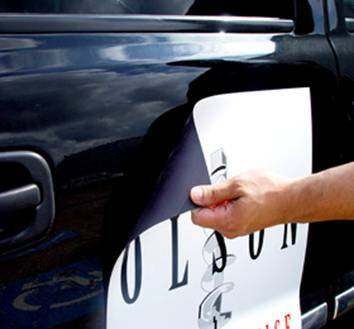 By utilising vehicle magnetic signs you can promote your business on business days, and remove them on weekends when using your car privately. With Digital Printing, magnetic signs are now in full colour and can reflect your company's colour scheme and image.